Our ability to access funding from a wide-ranging panel of the country’s biggest, most competitive finance houses and banks makes us an ideal partner for those competing in the motorsport world. With a dynamic business approach, we have access to flexible terms and competitive rates to allow you to fund everything from buying your car or bike, a trailer or a transporter or a motorhome to make those race weekends more comfortable. Credo can not only help you spread the cost of your race car, but we can also help you finance the cost of any capital expense that you or your team might need help with. 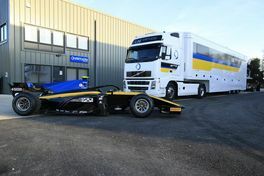 From Team Transport to Pit Equipment, our versatile criteria means that we canhelp you to finance everything you need to start or expand your racing entourage. We specialise in Competition Car Finance, Race Transporter Finance, Engineering Equipment Finance, Everyday Vehicle Finance, Hospitality Trailer Finance with the added benefit of offering finance outside of racing for your personal or business requirements. We’re thrilled to announce that this season we have delved even further into Motorsport by not only sponsoring drivers but cars and championships too! 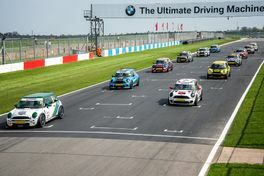 The MINI Challenge is THE Championship for the new MINI in the UK and has always enjoyed great grids, colourful cars and close racing. Over the years the MINI Challenge has built a reputation for affordability, fairness, and fun, building on the iconic MINI brand. So of course, we wanted to be involved again this year! Cooper Pros – Toby Goodman – A very talented 17-year-old who we have high hopes for this coming season. JCW’s – Lewis Galer – 16-year-old Lewis came 2nd in the Junior Ginetta Championships in 2017 and has since proved himself very worthy to enter in the MINI Challenge Championship this year. This is a single make series meaning the cars are identical so a drivers’ individual skill is what separates the cars. The cars are Gen1/Gen2 Hyundai Coupe’s with a sporty rear wing, racing brakes, semi-slick tyres and a 2.0L engine making it a slippery, lightweight racing car. Last year the series was voted the best Club Car Series in the UK. Nick Moore – this very talented individual is racing in the Carbon8 Hyundai Coupe Cup supporting the Britcar and British Truck Racing championships. Nick is a Norwich based driver who has previously raced with Team HARD in the VW Racing Cup, a series he’s hoping to be involved in again this season alongside the Hyundai’s. There is only one goal for Nick this season which is to win the championship! The British Touring Car Championship is a touring car racing series held each year in the United Kingdom, currently organised and administered by TOCA. We are delighted to be sponsoring Team Excler8 for their two MG’s this season. 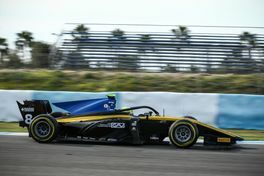 F2 provides a combination of a fast, safe, high tech cars with a talent pool of the best up-and-coming drivers, to ensure a must-see championship for fans of real racing. This is why we are absolutely thrilled to have the chance to showcase our logo on two F2 racing cars this season, courtesy of our trade partners Virtuosi Racing. All these factors combined make Credo stand out from the rest and make us an ideal partner for the Mini Challenge initiative.